The new multi wave PWM synthesizer, Pulse PWM Synth by Skrock Music is now out. 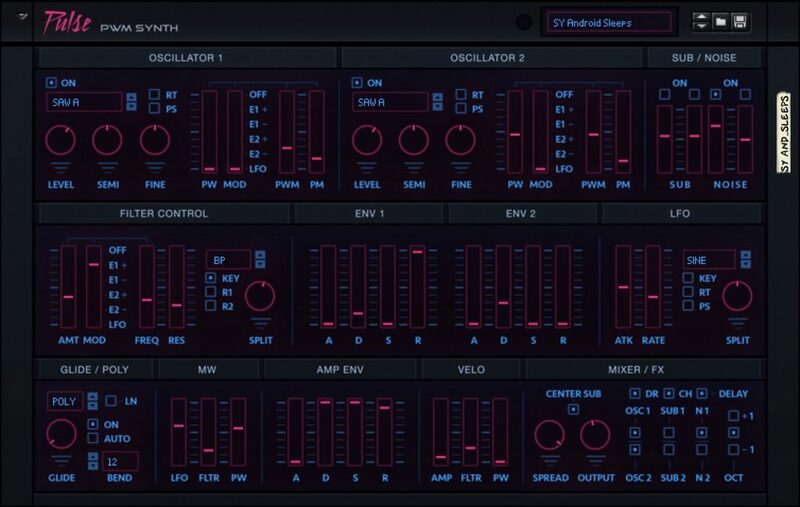 Pulse is a synth with a clear and intuitive interface, unlike the typical Pulse-Width synth. In pulse, several different types of waveforms can be PW modified. Thats 12 waveforms ranging from the standard Pulse/Square waves, to Sawtooths, Triangles and other experimental waves. It’s a homage to some of the great synth classics. With some extra twists. Easy hands on sliders for Mod Wheel and Velocity modulations. All trademarks, brands & logos are the property of their respective owners. © Reason Remoter, part of Nostex 2017-2018, all rights reserved. This website has no association or afiliation with the company Propellerhead. If you have questions, suggestions or other feedback, please contact us.